England’s rural idyll has got a lot to answer for: the sweet promise of bucolia, of quaint English greens and rolling fields and sad shire horses dragging iron ploughs. Village fetes and maypoles, hay bales being slung at harvest time, damsels drinking cider from earthenware. Is it really such a paradise or just a big romanticised fib to ease the discontent of city living? The fumes from London’s Friday night traffic aren’t currently dampening the imagination of the city’s weekend fugitives. The thing is, any of us can visit the countryside. You just drive out there, look at it, have a pie and chips in a deserted pub, walk along a B-road whilst getting static off some electricity pylons and then drive home again. Piece of cake. So it’s also very easy to get it wrong. I should know, growing up in Devon. Eight miles from the back-end of nowhere and not a single bus, or anything convenient. My childhood had glorious woodland walks and crackling log fires, miles of sweeping sandy shores and all that marvellous pastoral existence type-stuff (thank you H.E. Bates and Enid Bloody Blyton). But the countryside can sometimes become intensely dreary. And now I find myself planning a trip for 24 friends with impeccable taste who are expecting 48 hours-worth of countryside perfection, within easy reach of London. The pressure is terrifying. But by a twist of fate I am introduced to The Big Domain, a company that connects its clients with wonderful, luxurious accommodation in the UK, Europe and beyond and my strategy becomes easy: to book Heathfield House – an elegant and perfectly-appointed manor in a corner of the New Forest whose generous owners have painstakingly renovated it and reimagined it as the ultimate country retreat. Things couldn’t have been made more simple. As long as the M3 is clear you can do the journey to Bransgore village from London in just over 1.5 hours, which is a short saunter when your main point of reference is the cross-London commute. 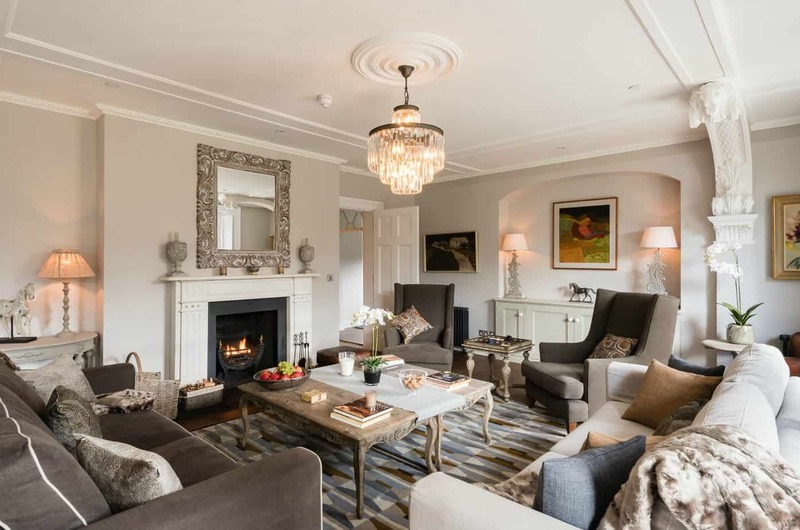 And when you do arrive at your magnificent, child-oriented house set in 15 acres of landscaped grounds you are treated to terraces, log fires and open parkland, with a coach house and cinema room and a games room and another cottage if you need more space. Oh, and private chefs and beauty therapists just a phone call away. The idyll – it turns out – is a very beautiful and achievable thing. 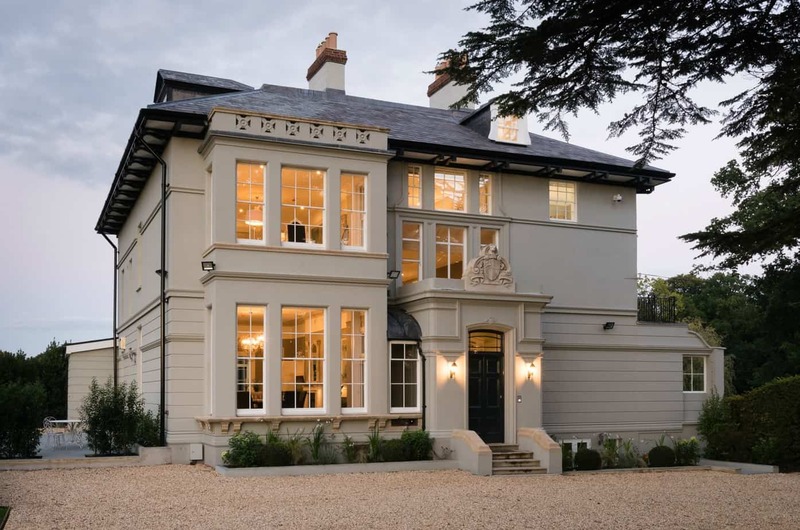 Heathfield House was owned by Lady Bingham in 1860, whose husband was Napoleon’s jailer and later taken over by the RAF to house pilots in the Second World War. It sits at the top of a private-gated driveway, protected on two sides by mixed woodland, an elegant veranda stretching along one side and from the front it opens out onto a view that seems to stretch forever across a vast patchwork of fields, then up the other side until it hits the pale blue Dorset sky. From the moment you arrive, this is damn fine living. The owners don’t do anything as intrusive as hiring a housekeeper or members of staff during your stay, instead your every whim is anticipated by the estate’s manager, who can help you to plan an event, organise a day trip, book an activity or bring in caterers or whatever grabs you. 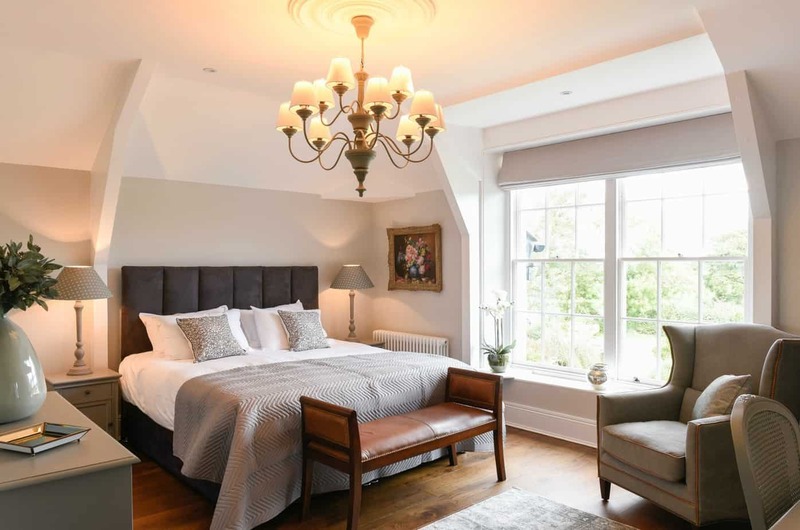 And there’s a lot to keep you busy in the New Forest with the National Park on your doorstep and a local Michelin-starred restaurant and excellent pubs a short trudge away. If the desire takes you, you can go windsurfing, sailing, cycling or just spend the day relaxing on an unspoilt beach along the Dorset coastline. 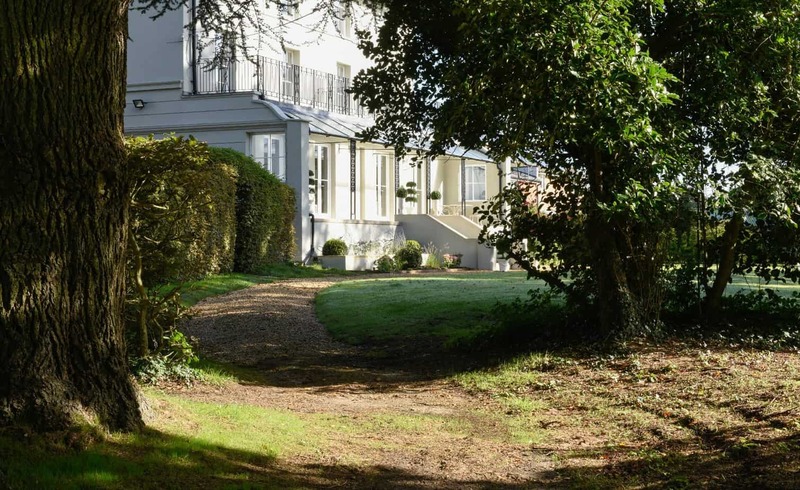 As if escaping your urban confines isn’t reason enough to visit, the effortless communication systems at Heathfield (high-speed broadband, VoIP technology, AV facilities) also cater for business events and luxury corporate retreats. 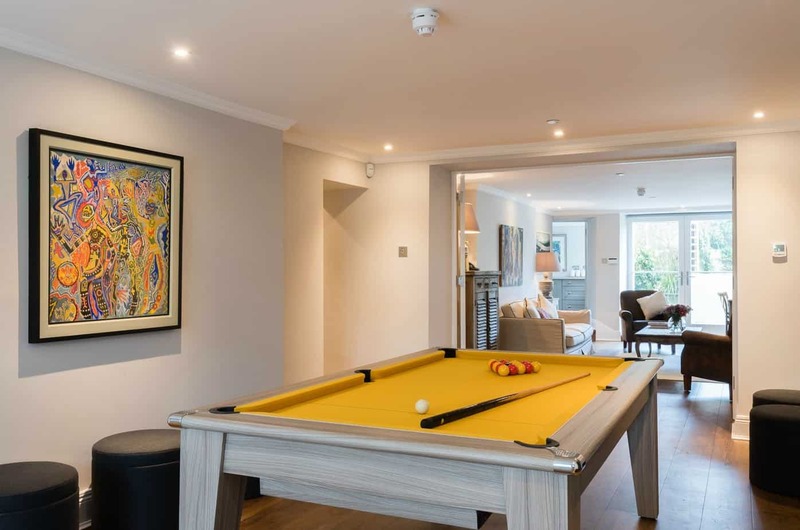 With a huge boardroom space and twelve sumptuous bedrooms, all en-suite bar one, I imagine it is the antithesis of a standard team-building weekend spent staring at whiteboards and grey suits, under fluorescent light bulbs. In the summer, there is, naturally, croquet on the lawn and champagne on the terrace while watching the sun set over the fields. In winter, the crisp white skies and frost-crunching walks will tire you out nicely before you retire to a fireside seat with a large whisky. Our visit in the spring heralds breezy coastal strolls and dappled sunshine; the air is fresh and the local crab meat even fresher. It is everything you could ask for in a short and sweet, or long and leisurely, escape. So what if it’s all just one glorious big fib, even the sheep look extra fluffy. For more information on booking Heathfield House or it’s cottages, please visit www.heathfieldhouseresidence.co.uk. The main manor house sleeps 24, the Coach House with its cobbled forecourt and walled garden sleeps 8. Magnolia Cottage, a cosy bolthole, sleeps 4. The Big Domain specialises in large luxury houses and group accommodation in a variety of fantastic destinations around the world: visit www.thebigdomain.com. Dumb phone. Smart Language. The relaunch of the Nokia 3310 isn’t all it claims to be.